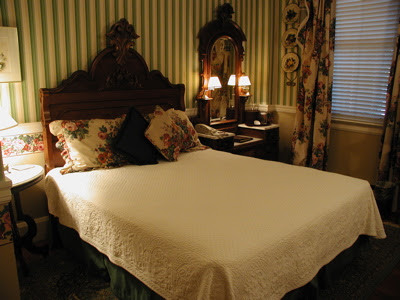 A room at the Manor Hover in North Hatley, Quebec. Sue Frause photo. Two of my favorite Canadian hotels have been added to the prestigious Relais & Chāteaux association. Manoir Hovey in Quebec's Eastern Townships and Vancouver's Wedgewood Hotel & Spa were among 34 new members selected for the global group of 470 hotels and gourmet restaurants around the world. To qualify for membership, hotels and restaurants must assemble an application file that testifies to its exclusive nature and makes a case for its adherence to the qualities and ideals that define Relais & Chāteaux. These materials are examined to assess the establishment’s qualifications. The property is then visited anonymously by an independent evaluation company that reviews hundreds of important criteria, as well as by current Relais & Chāteaux member management. One of Manoir Hovey's lovely rooms in North Hatley, Quebec. Photo by Sue Frause.